It’s estimated that there are over 4.5 million dog bites each year in the U.S., with over 600,000 requiring medical attention. 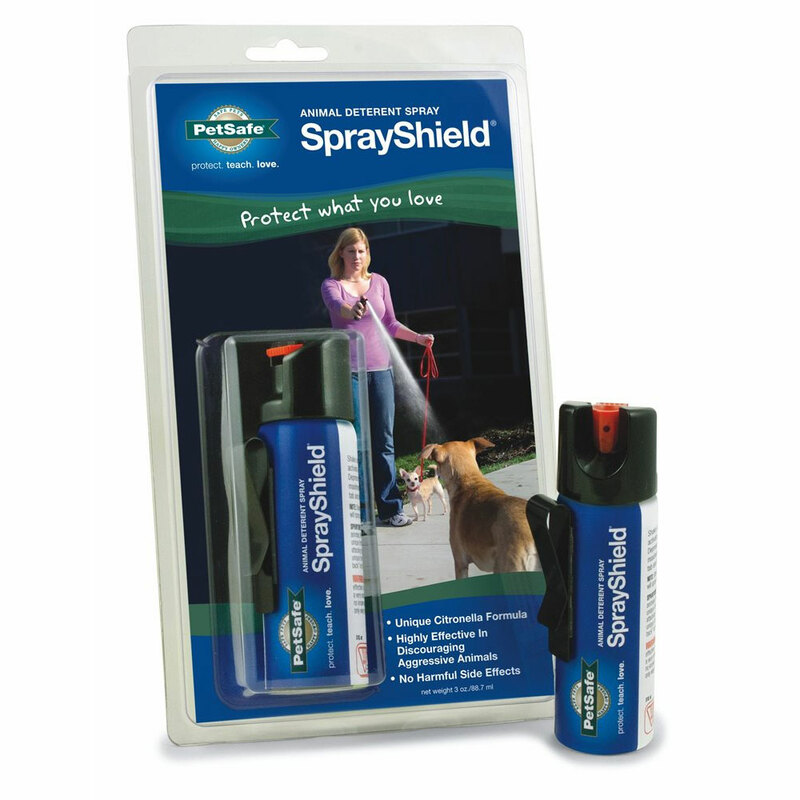 SprayShield Animal Deterrent Spray effectively, safely, and humanely repels moderately aggressive dogs. When sampled on trained attack dogs, SprayShield’s powerful citronella formula was found to be an equally effective alternative to 10% pepper spray, with none of the harmful side effects. The highly-concentrated citronella formula used in SprayShield provides a unique, pungent aroma that instantly distracts and confuses the attacking animal. Because it relies on scent, the formula is most effective when sprayed in the general area of a dog’s nose. Different from pepper spray (which must come in direct contact with a dog’s eyes and likely to cause painful corneal ulcers), SprayShield’s formula will harmlessly deter an agitated dog without increasing the level of aggression. As an added benefit SprayShield will not inadvertently injure the user or other onlookers. A can of SprayShield is great to have within reach in shelters, training classes, kennels, or veterinarian offices. It also easily fits into the pockets of joggers, dog walkers, and family members who enjoy taking strolls around the neighborhood.